e-kickboard scooters, the most accurate classification I've found for the non-Vespa types. I currently have a Yamaha (non-electric) motor-scooter for going places and I use my e-wheel as a last mile/short trip commuter. I was going to get an e-scooter to fulfill that role, but was so intrigued by euc's that I had to give-it-a-try. ? A similar thing happened after my first e-bike: I switched to e-scooters because I could 'grab it' and 'take it anywhere'. Maybe , that's why I'm partial to portable e-kickboard scooters... (I'm interested in what 10+ years of technological advancement has brought to the 'portable' design concept.) ? Although I've never heard of this company (and maybe they haven't got a chance), the Qingmai Company appears to have a light-yet-capable scooter with a couple of extra innovations that could make them relevant. However, unless the SWAN e-scooter is introduced at a significantly low price, I don't see them posing any serious competition. 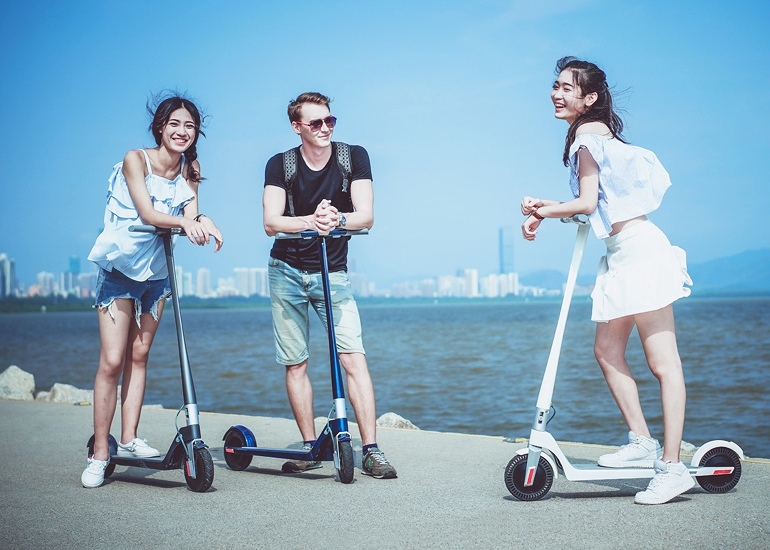 All of these new (cute) scooters rely on crowdfunding (and Chinese manufacturing)... The AKTIVO Scoot Kickstarter is fully funded (with a couple of weeks to go). It's powerful enough and seems innovative (hubless - go figure). However, looking over the specs, the battery and voltage figures are inconsistent/conflicting. I had to discontinue the ES2. On paper it was great, the model has been out for nearly a year, but the build quality has a lot to be desired & support from US Segway for post-sales, even for DoA cases, is virtually non-existent. The Inmotion L8F is [now] a sound design, they too were plagued by problems for almost a year, which is having a deleterious impact on the reputation of the Scooter. There does seem to be a lack of comprehension in CN manufacturing, that if a product gets a bad rap earlier on, it's difficult to rebuild once the problems have been sorted out. Unlike an Electric Wheel, there's a great deal more that can go wrong on a Electric Scooter, built to the absolute cheapest price to meet the market demand. I'm bullish on this Swan Scooter, the lightweight, Dual-motor is unique, remains to be seen what the quality is like. I wonder if the poor construction quality has to do with the main target population's expectations. Maybe the majority of Chinese people don't expect high quality items? Their main concern could be getting the best price even though they may need to pay twice in the long run. It's a common misconception where people think they are saving money, but actually they are just buying cheap, buying twice. What do they say - penny wise, pound foolish? You would think Ninebot should be a premium or mid to upper range name brand, but I guess it ultimately comes down to execution and how much money they invest into quality control and R&D. That "good enough" mantra needs to be changed to "it's of excellent quality" if they want to capture the hearts of consumers from the get go. Just take a look at Rockwheel. They had an excellent concept on paper - fast wheel, cool looking design, but they didn't spend the money on designing a practical shell and reliable components. It's only after they revised it in later versions that the reliability went up, but now it's too late. If you taint people's first impressions, they may not return for seconds. It just makes it more difficult to gain consumer's trust for future products or even improved revisions. In China, bicycles are a commodity. Most bikes tend to be inexpensive, ubiquitous, and interchangeable. Enter the bikeshare, a mutli-billion dollar cultural movement which overwhelms cities seemingly everywhere it occurs (saturating streets). As a few U.S. cities have discovered, the strategy for bikeshare operators involves deploying fleets of vehicles around town in order to jump start ridership by making them widely available. This same strategy (although, it tends to be more expensive) seems to be playing out here in the U.S. with e-bikes and especially e-scooters. ? My current theory is: everyone thinks Americans don't want to pedal at all (so why even bother with e-bikes?). In a dockless scooter sharing scenario, all you need to do is find one company willing to manufacture masses of cheap, disposable scooters that can littered across town (with little thought of how to manage what eventually happens to them). Overall, this can be very costly... but wait! Something big appears to be happening here, so American investors are sinking Billion$ (yes, with a capital B!) into scooter sharing startups (hoping to catch the wave on the latest craze). ? 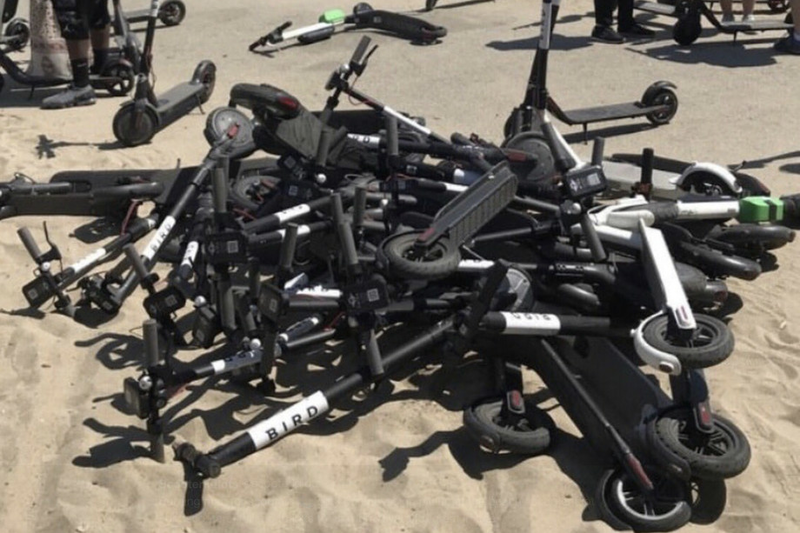 The end result of all this wild speculation and frenzy could be scooter graveyards (similar to bike graveyards now common in China). ? While you're at it, ignore the Hyundai Ionic scooter as well. (They're just prototypes.) However, don't ignore Hyundai, they recently made a sizable (rumored $15M) investment in Immotor as part of a big push into last-mile logistics. So, what is Hyundai ultimately up to? First off, you have former Mophie CEO Daniel Huang at the helm. He envisioned building a 'smart' scooter utilizing all kinds of connectivity features and a modular (swappable) 'Super Battery' system that automatically detects any problems and can even shut itself off (if necessary). It's all part of a calculated move on Hyundai's part to introduce smart delivery solutions that could end up seeing Hyundai enter the Micro-Mobility market as a side-effect. Then again, they may only focus on larger e-bikes and e-scooters, but its tempting to entertain the notion of the Korean giant entering into the personal mobility space (especially given the timing... vis-a-vis tariffs on Chinese products). RayRay, forgive me, but I just got to ask. Have you seen the cartoon where Winnie the Pooh asks Piglet "What day is it" and Piglet responds with "Today is the Day we burn this M.F. to the Ground" and Pooh responds "That's my favorite". When I had seen it I thought I was going pass out laughing. 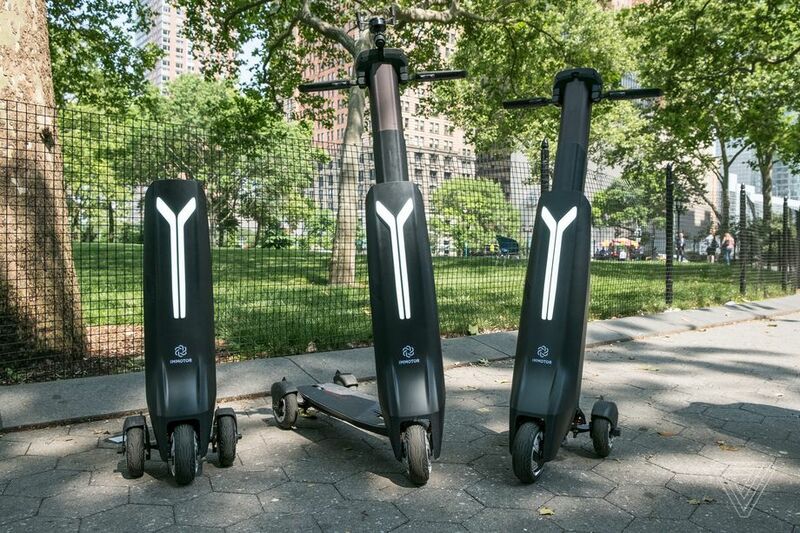 I think these E-Scooters are fabulous, the fact that you can fold them up and walk away with them is wonderful. Looking at the design it seems there would be an advantage to the units folding at the center point of the platform where the two main wheels could be used as a rolling point for the remainder of the mechanism. It just seems to me the more these things. can collapse onto themselves the better. Almost "Transformer" like. Another area of concern are the diameter of the wheels. It is an engineering fact the larger the wheel the easier it is to keep it in motion. The Dualtron Ultra is a serious beast with serious performance but at 81 lbs. tying to pick it up and walk away isn't realistic. However if it collapses on itself to the point where you can use the drive wheels as casters and a handle to drag the thing behind you, then that's another matter entirely. To be honest I think the DYU D1 is the best scooter at a reasonable price. It has alot of rebrands though in the US because theres no official distributor here but I like that all the parts are actually easily replaceable for the most part,some rebrands are Goplus,Ancheer and a few others all over Amazon. The battery inside can be ordered from alibaba and a deluxe battery is available there too. I'm thinking about really tuning mine with a new 12 inch 1000 watt motor and a bigger battery. I have the 6AH version which lasts for 10 miles and it reaches 20mph. I got the base Goplus version which was only $375. It only weighs 28lbs so its very easy to lift,also the handle bars fold too. I've been looking for a new small portable vehicle for a long while since my Inmotion V3S started giving me problems again and I just stopped using that junk but I really like the DYU D1. Most people think that its for kids at first glance but a kid would crash this thing for sure. I'm only 5'10 and its comfy to ride on. I was considering the Swagtron Swagcycle at one point but that thing has way too many tire problems out of the box from all the reviews I've seen. I've been using the stock kenda 12 inch tires on the DYU D1 and they are really good for 40 PSI tires,I've used them over glass plenty of times and they still didn't pop yet. As far as portability goes,it can fit on a bus and its much smaller than a baby stroller,it can also fit inside a grocery shopping cart with alot of room left for food. Another area of concern are the diameter of the wheels.﻿ It is an engineering fact the larger the wheel the easier it is to keep it in motion. The Dualtron Ultra is a serious beast with serious performance but at 81 lbs. tying to pick it up and walk away isn't realistic. However if it collapses on itself to the point where you can use the drive wheels as casters and a handle to drag the thing behind you, then that's another matter entirely. Minimotors Dualtron's are just too big to be carried around much (not designed for it). 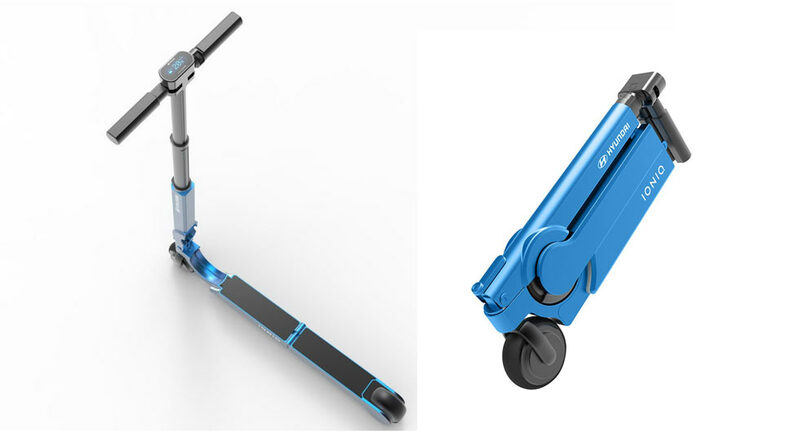 I think their less extreme Speedway Pro products (especially the Mini Pro's) are better examples of portable scooters that a person could reasonably carry around. (I believe they have tiny caster wheels for trolleying when folded.) These are high-performing compared to most other portable kick-style scooters on the market. The more compact and foldable, the smaller the wheels tend to be (and fold-ability often comes at a price premium). Bigger wheels would be preferable (especially for folding e-bikes), but then you lose portability (unless...) The same trade-offs apply comparing regular bikes to folding ones (as described here). 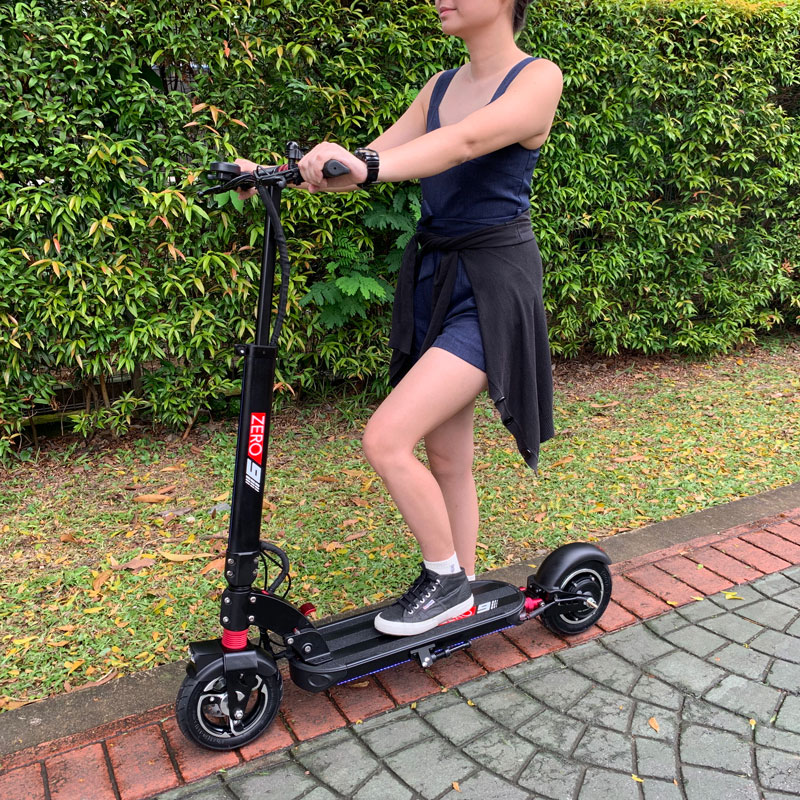 Hey guys, I don’t know if this is the right topic but I am looking for a very portable e-scooter ? for my tiny girlfriend that is only 50 kg. which scooter should I go for? Maybe something lightweight like an Inokim Mini+ if available where you are. I've got the 500W emicro CONDOR ...swiss design, it's a really nice e-scooter, 10.8 Kg ...need the "special code" to activate the super-dooper twist-throttle/engine brake. If you buy her the 2019 Unicool 600Watt ZERO 9 she will give you her "special" massage ...much cheaper too !! I think, when considering the changing/restrictive legality of escooters, in light of the flood of rental escooters last year, and when factoring in portability; one might as well get a small folding ebike instead. Similar weights and dimension, but substantially less legislation; and importantly, significantly less hostility from the general public. And, if the battery runs out, miles from home, it's not to difficult to pedal the rest of the way, either.